After pickup from a central meeting point in Cancun's hotel zone, travel to the tropical forest north of Playa del Carmen. 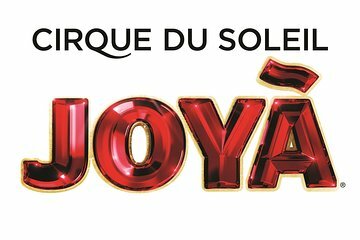 Arrive at JOYÁ's custom-built theater, the first permanent Cirque du Soleil show outside of the United States. As the show begins, immerse yourself in the adventures of a teenage girl and her alchemist grandfather. After finding a mysterious gem in the mangrove forest, the young girl must complete a series of challenges set out by her grandfather. After the 70-minute show has concluded, enjoy transportation back to Cancun. Choose from the different seating packages in the Itinerary below. If you opt for dinner, please note that dinner begins 1 hour before the performance time. Select View Additional Info to see the seating chart. Please note: Exact seats and zoning per category are subject to change without prior notice. A comfortable bar stool with back support and a leg rest in the last row of the theater. Location offers a panoramic view of the show; beverage and food are not included. Seats are located off to the side of the stage. S Ideal for guests who would like to purchase additional drinks during the show. (Sections 8 and 9. ); beverages and food are not included. Enjoy close to the stage seating and a 3-course gourmet dinner plus a half-bottle of Mercier Champagne per person. 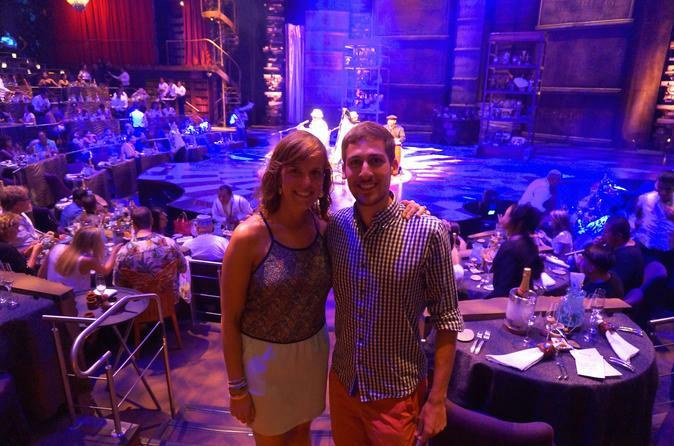 During dinner, guests will enjoy an hour of pre-show entertainment. Dinner is one hour before the show starts. Enjoy VIP, close to stage seating and a 3-course gourmet dinner plus unlimite Mercier Champagne per person during dinner. Guests will enjoy an hour of pre-show entertainment, priority access and VIP service. Dinner is one hour before the show starts. Your tickets will be held at the theater box office for collection on the day of the performance. You will be required to present your voucher, along with photo ID in exchange for your tickets. Note: The 9:15pm option for December 31st includes: tickets, admission to an after party at Nektar, party props, tacos after 1am, live DJ playing all night.